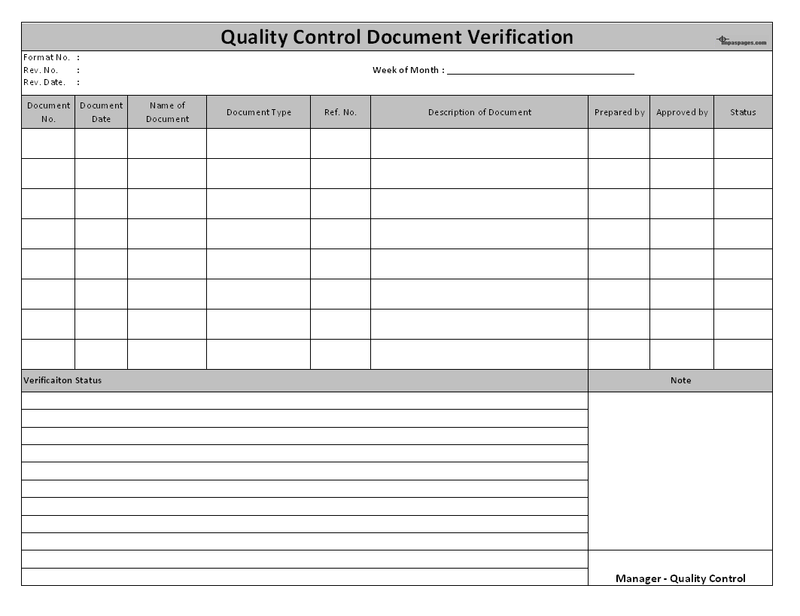 Quality control document verification system is established to verification of quality control documents to ensure quality controls processes are conducted properly. Quality control document verification system is prepared, maintained and update by quality manager for verification of quality controls records to ensure that each activities conducted for quality concern that is product inspection, documentation of quality management and product inspection concern records are managed and updated properly, the verification process through quality control manager is determine action plan for improvement of quality control procedures that helps to managing more sufficient activities and inspection processes of product concern. Quality control document verification system is established to improvement of quality control’s document system, verification of quality inspection processes, standards requirements to improvement of product quality and quality management system support. Quality control document verification process and its records are maintained by quality control manager to ensure product quality inspection and verification, quality control documentation are properly conducted and each process that required to inspecting product quality are managed, handled as standard requirements, the documents verification processes are conducted daily or weekly as per internal management system requirements, but generally daily verification is recommended, but its all depends on management system to allocate timing and methods for verification processes.